Here at Workbusters we offer a range of services to make your life easier. So sit back, relax, and let us do the work for you. Domestic Cleaning – Polishing, dusting, vacuuming and everything else to do with keeping your house clean. Commercial Cleaning – We’ll make sure all your office surfaces from screens to keyboards to the floor are all clean. End of Builders Cleaning – The builders have moved out, and they’ve left a huge mess that needs cleaning? We’ll ensure all debris and mess is taken care of. End of Tenancy Cleaning – We can get rid of those old wine stains and other mess – turning your property into a palace for the next tenant. 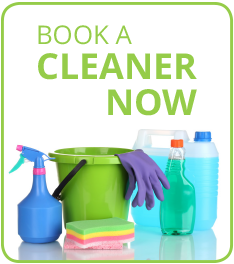 One Off Cleaning – If you only want a one off clean for your London property – we offer it. Cleaning everything from chandeliers to an after party mess – no regular contract required! Deep Cleaning – Require our deep cleaning services? We know how messy houses and offices can get if they aren’t regularly cleaned. Our deep cleaners can make your house sparkle! Help at Home – We don’t just clean! We can help with walking your dogs, collecting your parcels, and doing your laundry and ironing. Gardening and External Cleaning – Our cleaning contractors can spruce up the outside of your property, from your garden to cleaning your patio. Upholstery and Carpet Cleaning -We offer professional carpet cleaning to ensure your carpets and more look just like new again. Professional Cleaning – Our professional cleaners know the best cleaning products to use in a wide variety of situations – so you can rest assured your home will shine. Residential Cleaning – When hiring our residential cleaners, you need to know that they will be reliable and working legally. All cleaners from Workbusters are fully vetted, insured and trained.